If you leave a comment on our site you may opt-in to saving your name, email address and website in cookies. These are for your convenience so that you do not have to fill in your details again when you leave another comment. These cookies will last for one year. If you have an account and you log in to this site, we will set a temporary cookie to determine if your browser accepts cookies. This cookie contains no personal data and is discarded when you close your browser. When you log in, we will also set up several cookies to save your login information and your screen display choices. Login cookies last for two days, and screen options cookies last for a year. If you select “Remember Me”, your login will persist for two weeks. If you log out of your account, the login cookies will be removed. If you edit or publish an article, an additional cookie will be saved in your browser. This cookie includes no personal data and simply indicates the post ID of the article you just edited. It expires after 1 day. You can find more information about the types of cookies we use and the purposes for which we use them below: Strictly Necessary Cookies: These cookies are essential in order to enable you to browse our Site and use its features. The information collected by these cookies relate to the operation of our Site, for example website scripting language and security tokens to maintain secure areas of our Site. Performance / Analytics Cookies: These cookies collect anonymous information about how you use our Site, for example which pages you visit most often, whether you receive any error messages, and how you arrived at our Site. Information collected by these cookies is used only to improve your use of our Site and never to identify you. Functionality Cookies: These cookies remember choices you make, for example the country you visit our Site from, your language and any changes you have made to text size or other parts of web pages that you can customize, in order to improve your experience of our Site and to make your visits and use more tailored and enjoyable. The information these cookies collect may be anonymized and cannot be used to track your browsing activity on other websites. 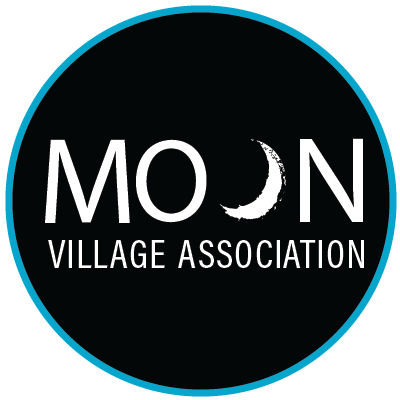 The Moon Village Association may share the information we collect when necessary to provide the services you requested, when we have your permission, or under the following circumstances: Service Providers The Moon Village Association may use third-party service providers to perform functions on our behalf, which may include assisting us in processing information. These service providers are subject to obligations to maintain the confidentiality of the information and are restricted from using the information for purposes other than those authorized by The Moon Village Association or otherwise required by law. Compliance with law and protection of legal rights The Moon Village Association may disclose the information that we collect as required by law, including to respond to subpoenas, court orders, legal process, and other law enforcement measures, and to comply with other legal obligations. The Moon Village Association also may disclose such information to protect and defend the legal rights, interests, and safety of The Moon Village Association and their employees, agents, and contractors (including enforcing our contractual rights), users of our Site, and members of the public. Aggregated information The Moon Village Association may aggregate the information that we collect about you and other individuals by removing any personally identifiable information that directly identifies a user and by combining this information. This aggregated information may be used for marketing and financial or operational analysis and planning, and it may be shared with third parties, including business partners and government agencies. that we transfer personal data to another party where the personal data has been collected with your consent or is being used to perform contract with you and is being processed by automated means. So we can fully comply, please note that these requests may also be forwarded on to third party data processors who are involved in the processing of your personal data on our behalf. You may choose to enjoy content and features on the Site without directly providing us with any information about you. For any questions, comments or suggestions regarding the functionality and/or data related requests, please contact our webmaster, via the contact form.